In Jan. 2013 Absi co introduced a new series classified under the Strata collection: The Blue Amber Series. Mystic, elegant and awesome these are first three words that come to my mind in describing the Blue Amber trophies. The trophies are composed of different layers of engraved brass and acrylic sheets in different finishing and color. 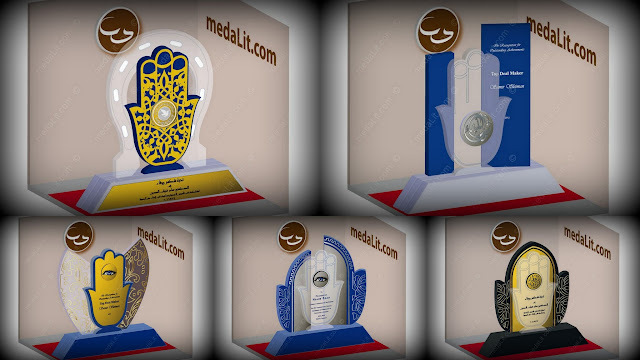 Trophies in this series are suitable as personal gifts as well as corporate awards.